Nevermind... I found a prior thread with the same photo stating it was the 36mm! Is that the 36mm Explorer? It does not look that much smaller than the AT. I tried on the 39mm and it was very nice, but the size just did not seem relative to the details of the watch. Maybe due to the smaller version being so proportionate. Yeah, a few people have an issue with the proportionately small hands on the new Explorer. Personally, I don't but I still prefer the older model. Can I ask you where you saw my photo? Was it in one of my posts? MHe225, Dixan, deluxeswiss and 3 others like this. For me, there is something extraordinarily captivating with these applied Logos. My only applied logo, my Seamaster PO, initially opened my eyes to this aesthetically beautiful appliqué, and I'd go as far to say that it could be a major determining factor on what Omegas' I consider in the future. Oh no, (I mean... OH YES! ), a credit for the AT, and it only a matter of time, tho regretfully, money also. A great reference thread Dixon, well done. I totally agree, Mark. I also love the applied Omega logo. 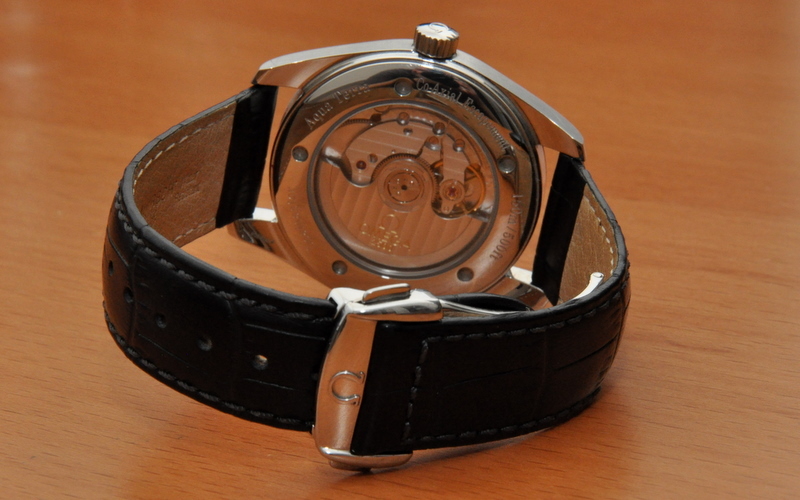 The great thing about the Aqua Terra is that the "OMEGA" word mark is also applied. I'll not speculate here as to why some watches have it and some do not. I believe there are whole threads dedicated to that discussion already. Whatever the reason, I, like you, lament the fact that many modern models lack this small but impactful detail. Most would probably agree that the Speedy Pro would be even more covetable if it still had its applied logo. And, thanks for the kind words. We've collectively made this a great resource thread. The quality of photos posted here has been consistently very high. Let's see if we can't get some more members to post! Ayune, vkd668, whifferdill and 1 others like this. 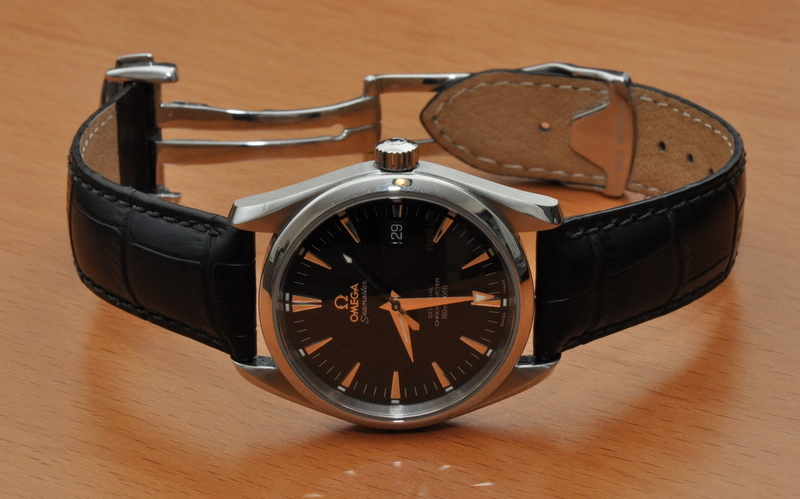 I was always was under the impression that the applied "Omega" logo was reserved for chronometers. Of course, since not all Omega chronometers have the applied logo kind of skews that, but I am pretty sure that all that do are, in fact, chronometers. I'm wondering if we can get some of the older, possibly ever so slightly jaded (in terms of posting old photos of old watches) members to contribute? KatGirl, Fr. John, Teeritz, and many others have had, or still have, so many cool ATs and RMs, and so many fantastic photos of them. If some of you guys would kindly contribute, we could continue making what is turning out to be a nice, solid resource thread for all future researchers. OMEGAFORCE, MHe225, vkd668 and 4 others like this.